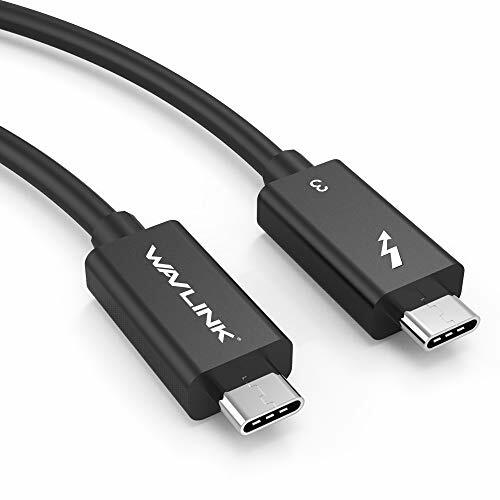 [Thunderbolt 3 Certified] Wavlink Passive 40Gbps Thunderbolt 3 USB C Cable 2.3 Feet Support 100W Charging and 4K @ 60Hz Video Resolution (Not Compatible with USB-C Ports Without The Thunderbolt Logo) by WAVLINK at Andy Pemberton. Hurry! Limited time offer. Offer valid only while supplies last.